“I bought these survival seeds so that I can grow all my own food when the SHTF”. I hear this a lot. Often from people who have never planted a seed in their entire lives. Experienced gardeners must be doing a terrific job of making their work look super easy for so many people to figure that if the world were to explode, they could just till up a little bit of dirt, throw out their package of survival seeds, and viola!, dinner is served. There’s a whole lot of people in denial out there folks. A whole lot. Many of these people couldn’t even tell you what type of seeds are in that survival seed kit, or if their family even likes those vegetables. How to make the most of survival seeds. 1. Do your research. How much land you have will determine the type of garden you’ll create. Suburban homesteader? Check out All New Square Foot Gardening by Mel Bartholomew, Mini Farming: Self-Sufficiency on 1/4 Acre by Brett L. Markham, and The Backyard Homestead by Carleen Madigan. Urban homesteader? Grow what you need in pots! The years my family spent living in a major city in Turkey we grew in pots on our balcony. The Vegetable Gardener’s Container Bible will get you started. Another strategy would be to sprout your seeds for fresh eating. Ann Wigmore leads the way in teaching about sprouts and their health benefits in The Sprouting Book. Ready for the Big Leagues? You’ve got your land, paid your dues and ready to go off grid? 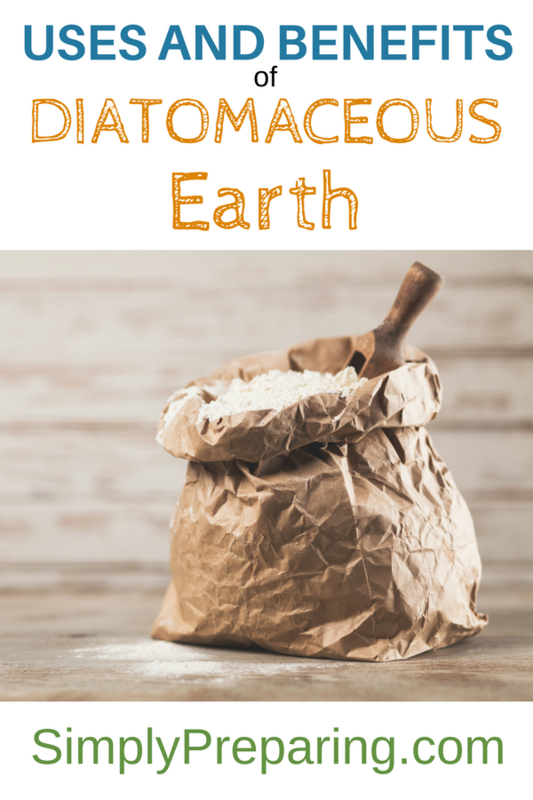 Here’s a few resources to take a look at: The Encyclopedia of Country Living by Carla Emery, John Seymour’s The Self-Sufficient Life, and Abigail R. Gehring’s classic, Back to Basics would be good places to start. 2. Gain some real life, hands on gardening experience……..NOW. 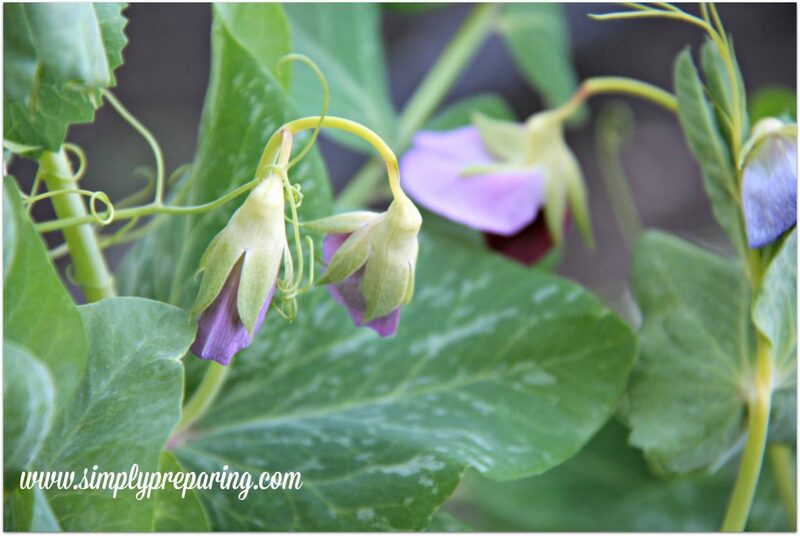 Gardening has always been a part of my life and my husband grew up tending his grandparents acres and acres of garden. That’s a lot of gardening hours and we still have years that where certain things are total flops. Let’s face it, you learn from your mistakes. Take that time to make those mistakes now, rather than in an emergency situation. 3. Make friends with other gardeners. Pick their brains for gardening information specific to your location. Trust me, gardeners love a willing audience. Save your own survival seeds! Every gardener should learn how to save seeds. The day might come when ordering your seeds on the internet is no longer a possibility. Suzanne Ashworth and David Cavagnaro’s Seed to Seed: Seed Saving and Growing Techniques for Vegetable Gardens., is a must have for any gardener. 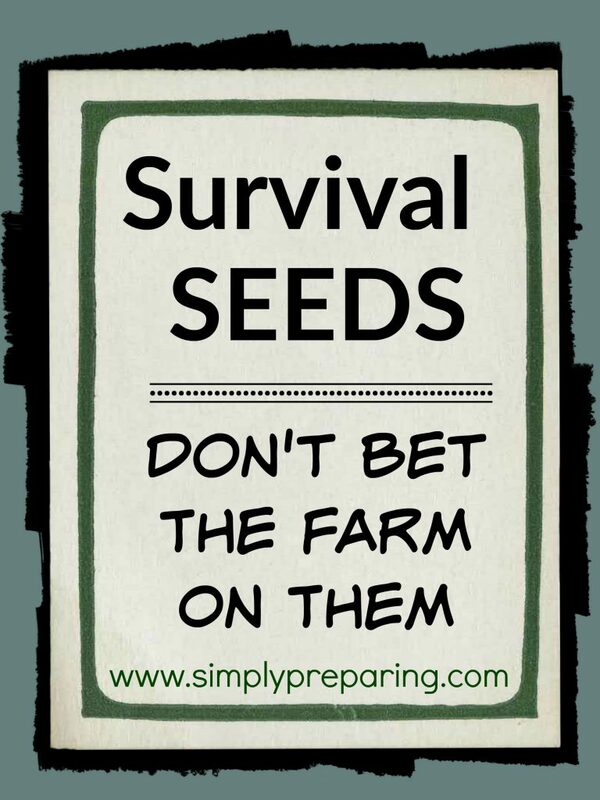 Want to know my very best advice in regards to creating a plan for using your survival seeds? HAVE AT LEAST SIX MONTHS OF FOOD STORAGE ON HAND. If your personal emergency comes about in the dead of winter, what will you eat? What will you eat while your garden is making it’s way to harvest? Food security can’t be found in a box of survival seeds. Experienced gardeners would find it challenging to grow everything to keep body and soul together for a year. Factor in the amount of physical work growing all your food would require and, well, you get the idea. Keep growing those gardens! Plant those fruit trees and berry bushes! 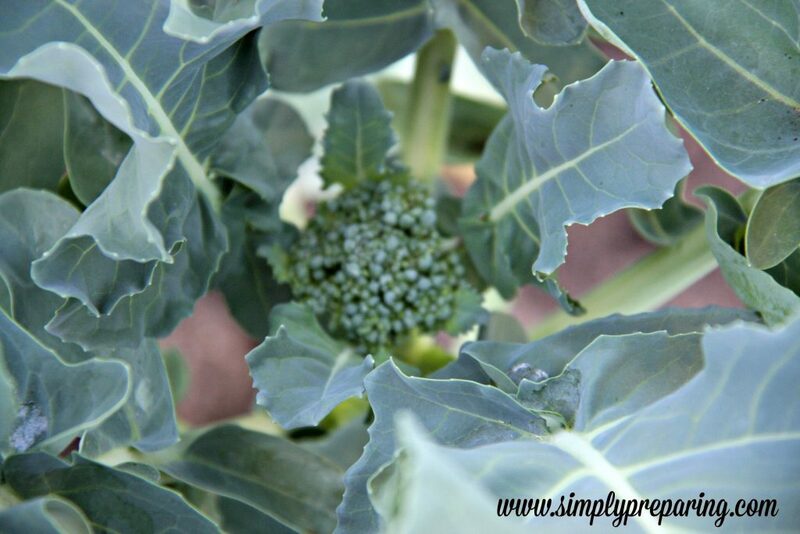 Gardens are a major component of your food storage plan. 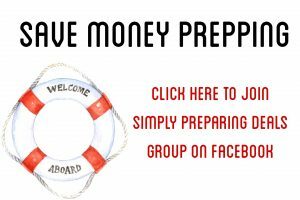 A wonderful, healthy, financial friendly, much needed component, that helps free up much needed cash you can use to buy your three months supply of what your family normally eats, and then a year’s worth of longer term food storage. ‘Cause thinking when the SHTF you’ll rip up your lawn and grow everything you need with that box of survival seeds, simply ain’t going to keep your family fed. 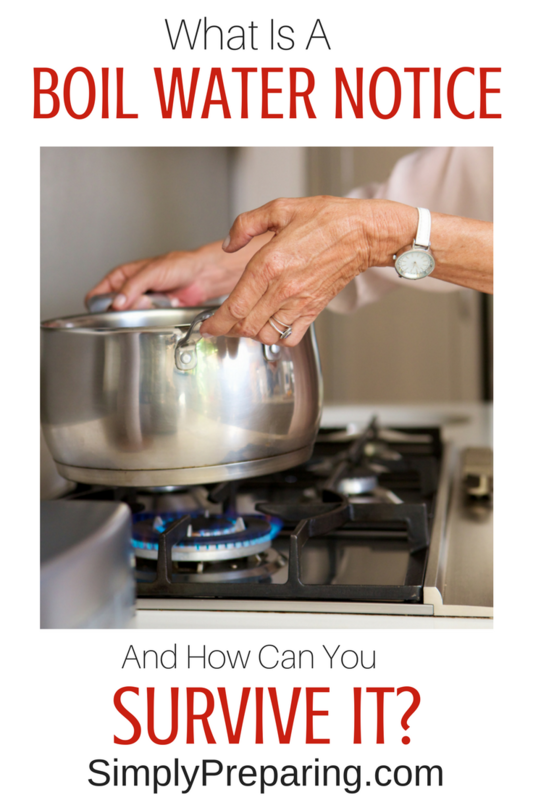 How do you plan to feed your family in case of an emergency? Great post and so true! So many people don’t give any stock to the simple needs of learning self-sufficiency skills, those are the folks who will be really struggling if there is a disaster. You are right, you can’t grow it all or you will seriously go hungry! lol. You are so right! 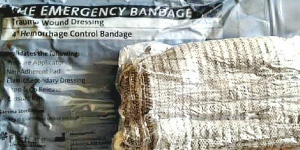 The companies selling the emergency seeds are profiting from fear. Gardening takes a lot more experience to learn to do it well, and even then it’s really challenging. It’s a good idea to start fruit trees now because it takes them several years to get established and start producing well. Preserving foods is yet more skills to be learned. That’s why I’m trying to learn more about foraging, too, to have that added source in case of emergency. Really good food for thought!